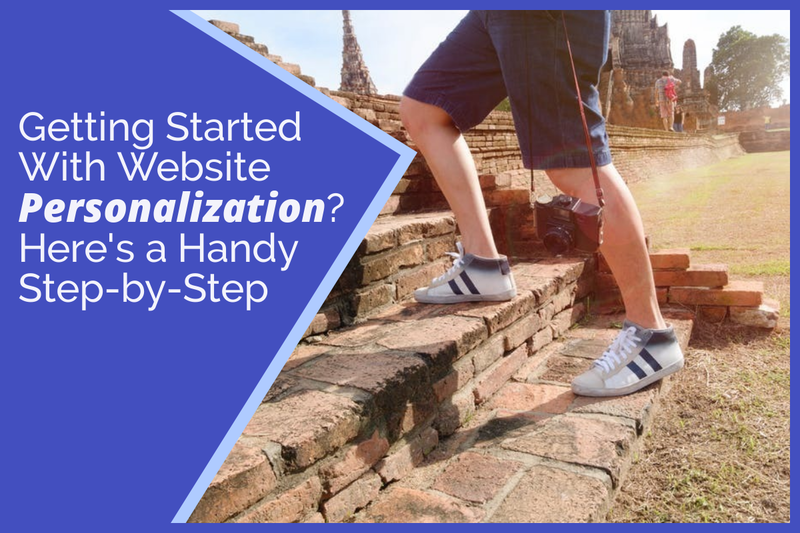 Before you take practical steps to implement any type of website personalization, stop to ask yourself what you're trying to achieve. Do you want to provide a more valuable customer experience to your customers and clients? Are you trying to increase marketing ROI? Are you looking for new opportunities to upsell and cross-sell? Maybe you're concerned that conversions have leveled off or long-time customers are drifting away. As you focus on your goals, try to be as specific as possible. Maybe you want to boost your email list numbers by, say, 20 percent. Perhaps you want to see a specific increase in visits from repeat customers, larger orders from your existing customers, or an uptick in your loyalty club membership. The more specific your goals are, the more you can target your personalized marketing precisely. If you've ever created customer personas for use in your CRM, you're already familiar with the concept of segmenting. When you break down your database of visitors and customers according to their attributes, you can deliver customized messages to the various segments interacting with your site. Your analytics tools can help you identify the market segments that make a difference to your unique business so that you can start to create marketing content that speaks directly to each group. Data also lets you know which segments are the most valuable to your bottom line, or it can help you target the likely audience for a new product or service. You can target emails directly to segments and even individuals with your website personalization platform. Address emails directly to leads and customers, and send personalized content and products to speak to those customers' needs. This strategy manifests slightly differently in B2B vs. B2C campaigns. Your B2B business might offer longstanding customers discounts for bulk purchases or early reorders. A B2C business, on the other hand, may trigger an email offering a discount or free shipping to a customer who has abandoned their shopping cart. Either way, personalization helps the business win. When your customers click to your site and see a home page that acknowledges their needs and provides a ready solution to them, you can expect them to stay on your site. In fact, fully 80% of visitors say they're more likely to do business with a site that offers personalized marketing. Once you have your website personalization up and running, you need to test it to see if it's doing what you want it to. On top of that, your market situation will change constantly — because your customers, the marketplace and the world are all in flux at all times. Run A/B or multivariate testing on your results, and employ the help of personalization experts if needed to help you optimize your campaign. If your data shows that your campaign is working, expand it to new market segments, making needed tweaks along the way. If it didn't do everything you wanted, crunch your data to figure out what changes you need to make. Once you've dabbled with website personalization, you'll quickly realize how valuable it is. At Polished Geek, we know personalization from the inside out. Got questions? Ask 'em here.